Arnica Montana 6c by Boiron is great for aches and pains and arthritis. 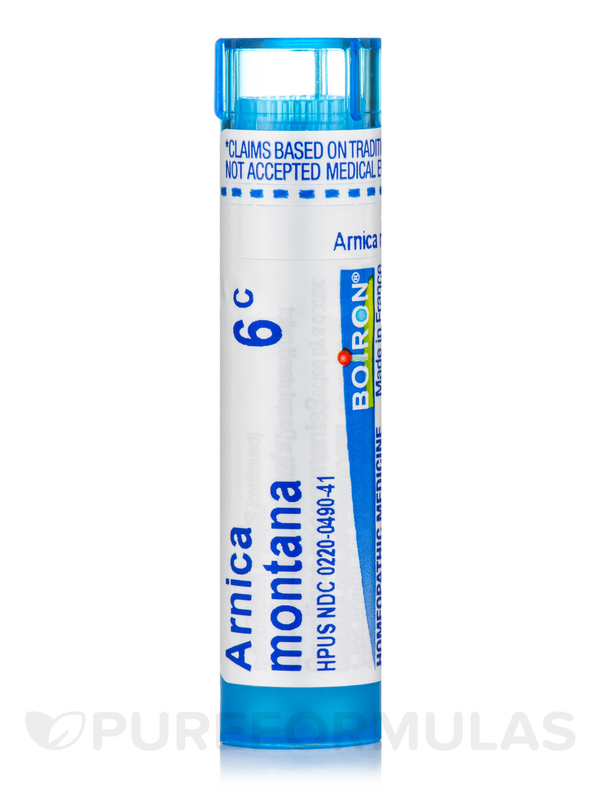 Arnica Montana 6c by Boiron works great to reduce black and blue areas from trauma. 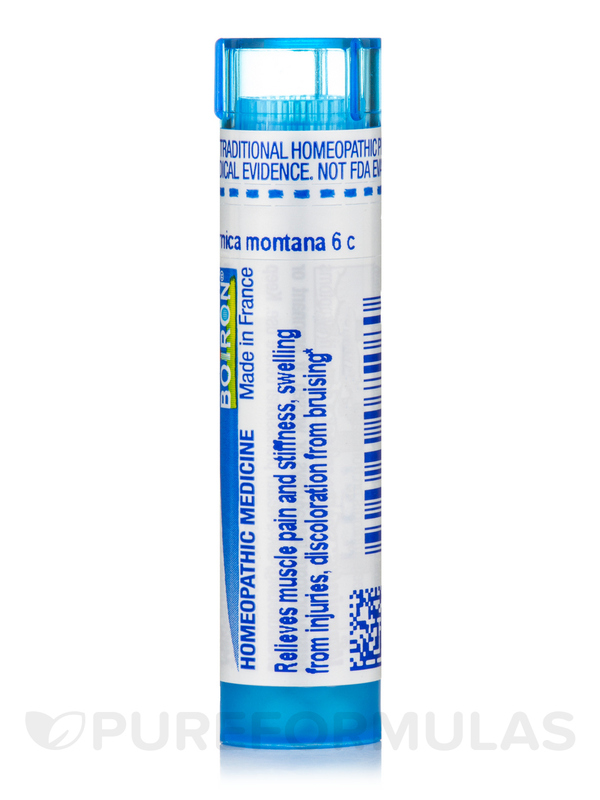 Arnica Montana by Boiron is a quick remedy for the pain.Works quickly, naturally and there are no side effects. 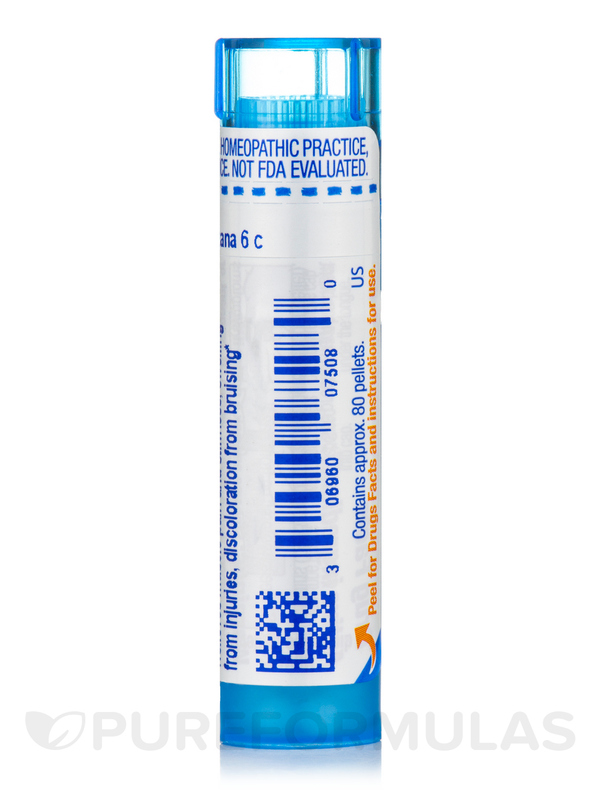 Arnica Montana by Boiron works for joint stiffness. Been using for awhile and it seems to work better as time goes on. I can carry it in my purse and it works quickly. Helps with mussel pain. Will order again. I love Arnica Montana. Great for any type of bruising or swelling. Perfect for pre or post surgery. Pleasant taste and no side affects. My family and I always have Arnica Montana on hand and the price is right! Sweet taste Great price long shelf life It Works! Arnica Montana is a very good product-well worth the money and can be hard to find. I use it for my kids for their bruises and bumps. As soon as they fall I give them 5 pills and they never get a blue black bump. Even if they get it it disappears within a day. I also use it for my knee pain. It works like a charm. I also use arnica cream by boiron.